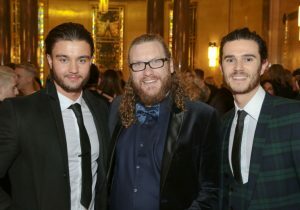 Getting the year off to a stylish start – of course – RUSH Hair held its annual Oscars awards ceremony at the Freemasons Hall in Covent Garden. Phwoar, what a venue. From award wins to milestone salon openings, live shows to international recognition, the 900 strong audience had a blast celebrating another exceptional year. 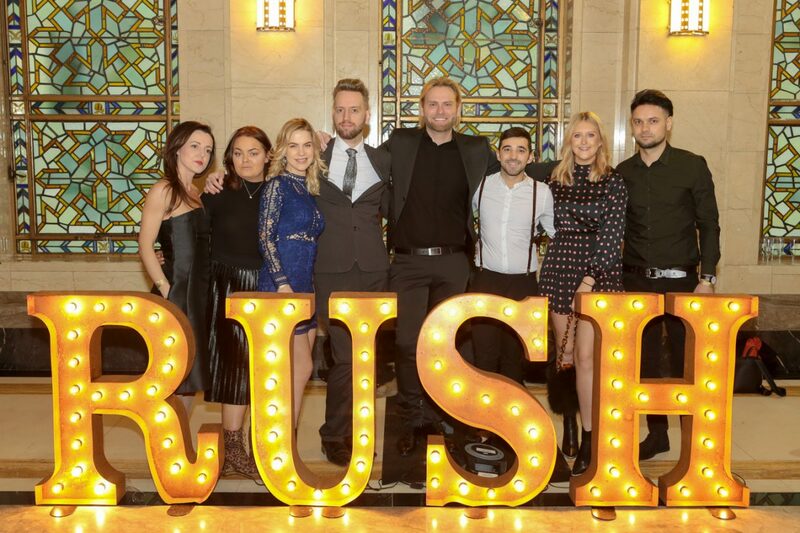 The RUSH Oscars bring together the entire RUSH family to recognise those who had gone above and beyond within the group. CEO and Co-Founders, Andy Phouli and Stell Andrew took to the stage to give an inspirational welcome speech, which was met by huge applause from the captivated audience. 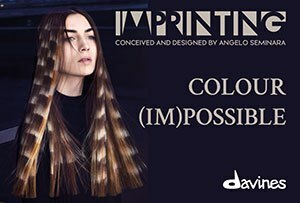 Hosted by International Creative Director Andy Heasman and Colour Director Chris Williams, the duo discussed their highlights of the past year with the team, exclaiming ‘2018 was a year of incredible achievement’ for the entire RUSH family. Whilst discussing the achievements, Andy and Chris touched on the company’s charitable side. RUSH raise valuable funds for Great Ormond Street Hospital through their RUSH Live show, which takes place annually in October. This year was no exception and the sum raised at the October show was a staggering £14,190, bringing the overall total raised over nine years to £149,190.00. 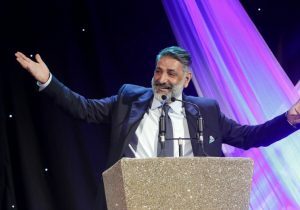 Vice Chairman of RUSH Hair, Peter Phouli was next on stage to discuss the fantastic opportunities available to the RUSH team. 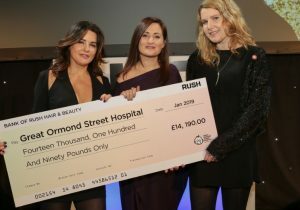 Peter congratulated the salons for their consistent hard work and commitment and continued by welcoming the new salon teams who have joined the RUSH family over the past year including the 100thRUSH Hair salon based in the luxurious retail destination, Westfield White City. It was then time to move on to the announcement of the RUSH Oscars 2018 winners, with excitement building around the theatre as the finalists and then winners were announced. It was an incredible evening of inspiration, motivation and celebrations. 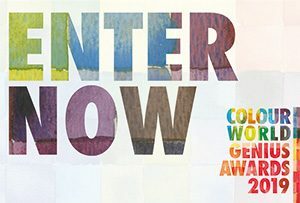 Andrea Lowe, Assistant of the Year 2018 Holly Stubbs – Front of House Award 2018 Moorgate team – Beauty Therapist of the Year 2018 Danielle Schofield – Retailer of the Year 2018 Liam Taylor – Retail Salon of the Year 2018 The House of Rush – Newcomer of the Year 2018 Liz Conroy – Head Office Award 2018 Clodagh Girling – Social Media Award 2018 Nottingham – Area Manager of the Year 2018 Oliver Tobin – People’s Choice Award 2018 Irfan Imam – Kudos Award of the Year 2018 Demitri Deacon-Jones – Photographic Competition 2018 Michael Rackett – John Haynes Award for Outstanding Achievement 2018 Tina Farey – STC Stylist of the Year 2018 Michael Butterfield – Colourist of the Year 2018 Tilly Penn – Stylist of the Year 2018 Esin Mehmet – Franchisee of the Year 2018 Liliana Ionescu – Manager of the Year 2018 Tina Poonam Mehmi – Salon of the Year 2018 Eastern Ilford – Salon of the Year 2018 Northern Manchester – Salon of the Year 2018 Western Windsor – Salon of the Year 2018 Southern Reigate – Salon of the Year 2018 Greater London Clapham Junction – Salon of the Year 2018 Central London One New Change.